Al was born in 1934 on the outskirts of Cologne, Germany and educated in the art of apparel manufacturing. He worked until 1956 in his father's business. In 1956, he immigrated to the USA with his parents and younger brother. Drafted thirteen months later, he served in the US Army for two years stationed in Germany where he met his wife. After a fifty-year career in the apparel industry, he retired as corporate vice-president from the Spiegel group and turned to writing to fill his ample leisure time. His extensive travel, during his 50-year career, took him around the world to five continents. The travels gained him a deep understanding of the worldâ€™s cultures as well as their trials and tribulations. This, combined with his experience growing up in a war-torn country during World War II, and his military service, gave him enough stories and imagination to spin the yarn for his novels. Al has eight published novels to his credit. The seventh is a sequel to his sixth book. He just completed the manuscript for his eighth novel. He resides in New Jersey with his wife of fifty-eight years where they enjoy their children and three grandchildren. Dilip Lahiri, A.K.A. Baapun, is a young beggar boy from Dhaka whose life changes when a wealthy Sikh rescues him from an angry vendor, after stealing a piece of bread. Raised on beggar’s row, survival at all cost is his mantra. His journey from Beggar’s Row to stardom is paved with questionable dealings; smuggling, lusting for loose women, and an addiction to opiates. When Baapun falls in love with a beautiful young Chinese girl she tries desperately to pull him back from the abyss. 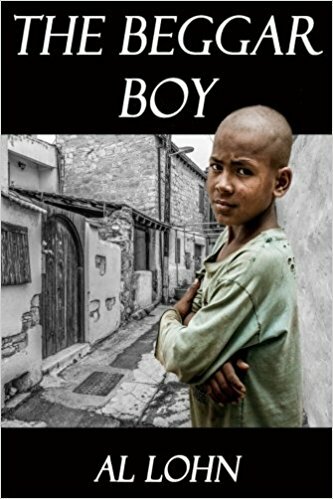 A trip back to Dhaka’s Beggar’s Row, lands him in a coma. Two nuns from Mother Teresa’s order, nurse him back to health. Meanwhile, a newly appointed Interpol inspector, who is investigating one of Hong Kong’s organized crime bosses, gives Baapun an ultimatum; testify against the mob or go to jail. His friends and girlfriend, convince him to testify against the mob, which puts not only his life, but his new girlfriend’s life, in danger.